Good times ahead for Blizzard fans here in India. e-xpress Interactive Software Pvt Ltd, has announced its distribution agreement with premier game developer and publisher Blizzard Entertainment. 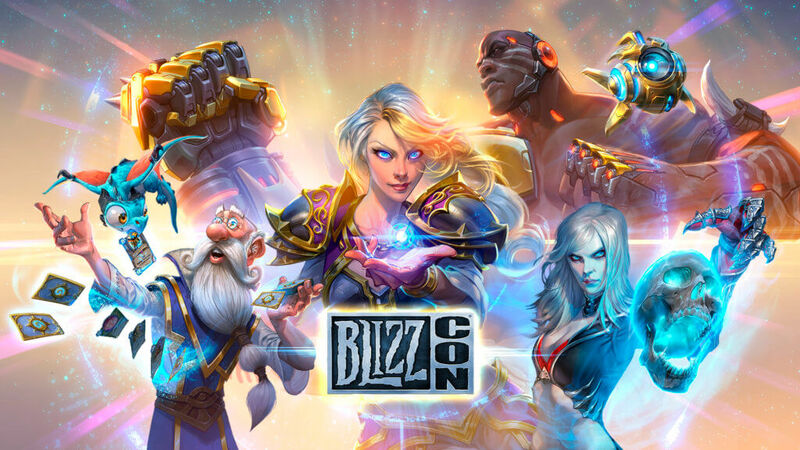 This collaboration involves the distribution of several of Blizzard’s internationally renowned games—including Overwatch®, StarCraft® II, World of Warcraft®, and Diablo® III—throughout India. 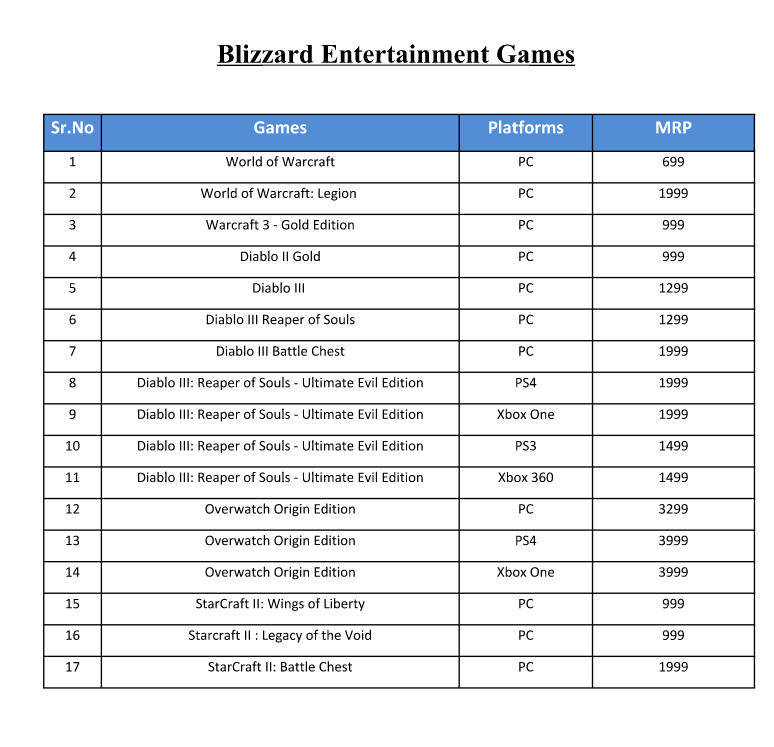 Gamers throughout India can start purchasing Blizzard titles in the coming weeks at retailers such as Games The Shop, Landmark, Croma, Flipkart, and Amazon. Here’s a nifty little chart showing the prices. e-xpress Interactive Software Pvt Ltd, is the leading game software distributor in India since year 2000. It represents world leading game publishers, Square Enix, Warner Bros. Games, CD Projeckt, SEGA, TAKE2 Interactive, Capcom, 505 Games, Bethesda, Namco Bandai, Konami and Ubisoft for India. The company distributes game software for PC, PlayStation 3, PlayStation 4, Xbox 360, and Xbox One.